Physical Therapy is a specialized healing process that helps restore a person's maximum functional ability after an injury or trauma. Physical Therapy is also an effective method of reducing or eliminating pain involving the spine, extremities and head. 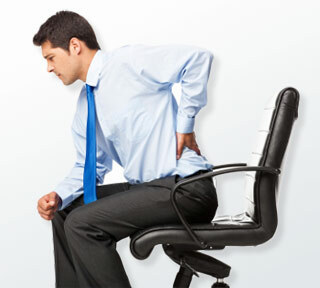 This pain or discomfort is often caused by mechanical problems in the body. It can be related to imbalances in the soft tissue (muscles or fascia), joints, ligaments or the even the nervous system. Patients often describe the pain/discomfort as a loss of strength, decreased range of motion, stiffness, muscle spasm, or as symptoms that radiate into an extremity. Traditional Physical Therapy includes a detailed patient evaluation to determine the source of the pain through subjective history, joint and tissue mobility, biomechanical function, strength and coordination. Alternative Therapy covers a broad range of philosophies and approaches that are not taught in western medical schools. These include healing measures such as Myofascial Release, Chiropractic, Reiki, Homeopathy, Acupuncture and Zero Balancing. Holistic Physical Therapy incorporates both traditional "western methods" and complementary "eastern methods" in the treatment of a patient's disease or injury. This holistic approach promotes the healing process on all levels: physical, mental, emotional and spiritual (mind, body, soul). We utilize a holistic physical therapy approach in our treatment, We evaluate not only the area of symptomatic complaint, but also all related movement areas in both the spine and extremities. We recognize that our patients want to recover from their injuries as quickly as possible. We empower our patients to take control of their own recovery through education, acknowledgement and personal responsibility. We treat conditions such as tennis elbow, whiplash, migraines and multiple sclerosis. We utilize a layered approach to treat our patients which addresses underlying causes. We harmonize with the care our patients receive from their physicians, chiropractors, massage therapists, naturopaths and other medical practitioners. Most importantly, we educate our clients, empowering them to manage their health proactively. Progressive Therapy Services even helps with stress relief. Proper combinations of eastern and western therapy techniques, when applied properly, creates a holistic approach where each individual therapy builds upon another to provide a more comprehensive healing - physically, mentally and emotionally.